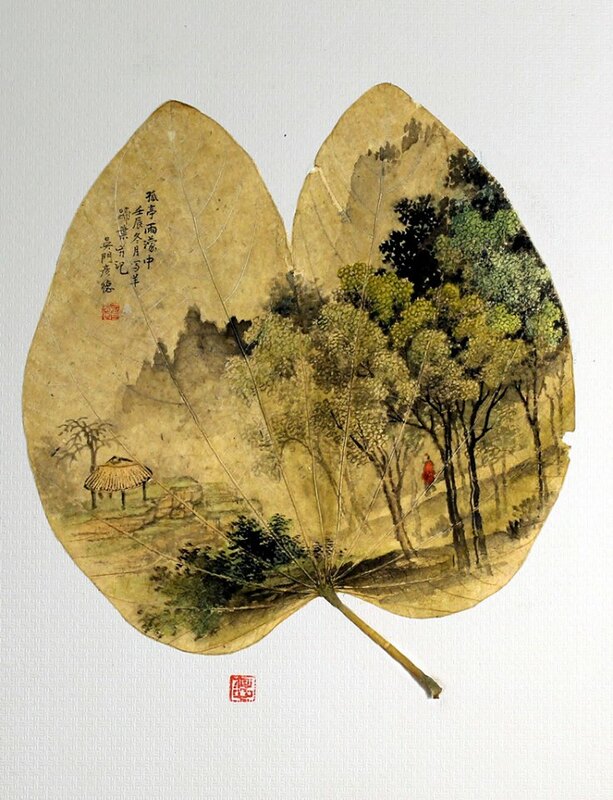 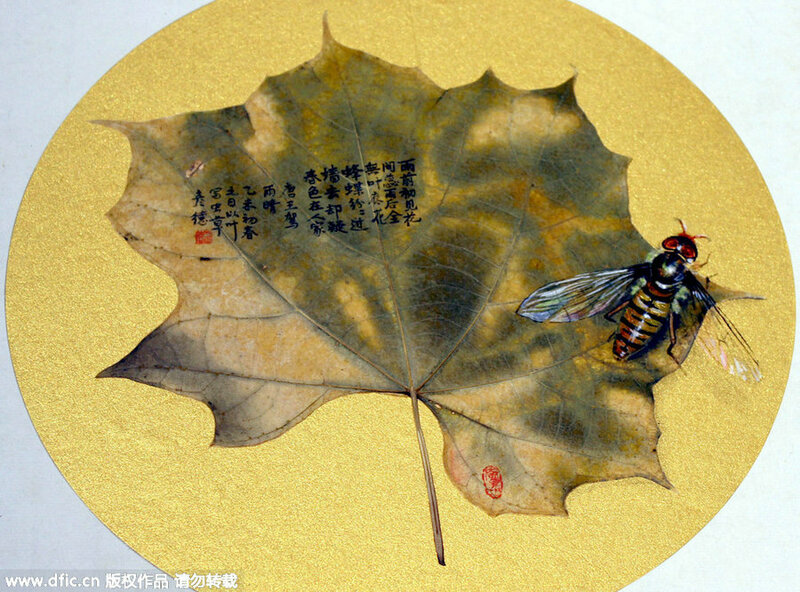 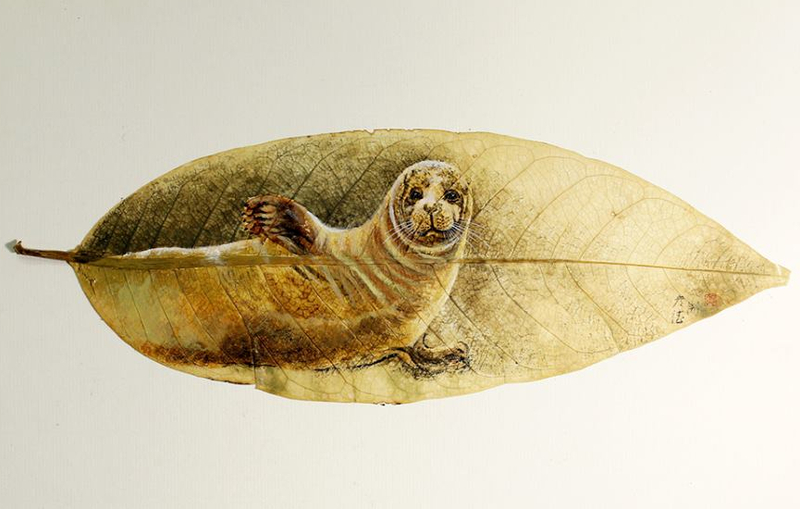 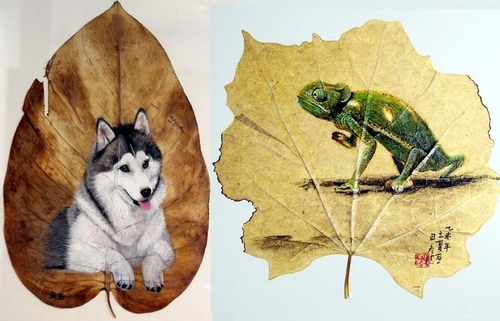 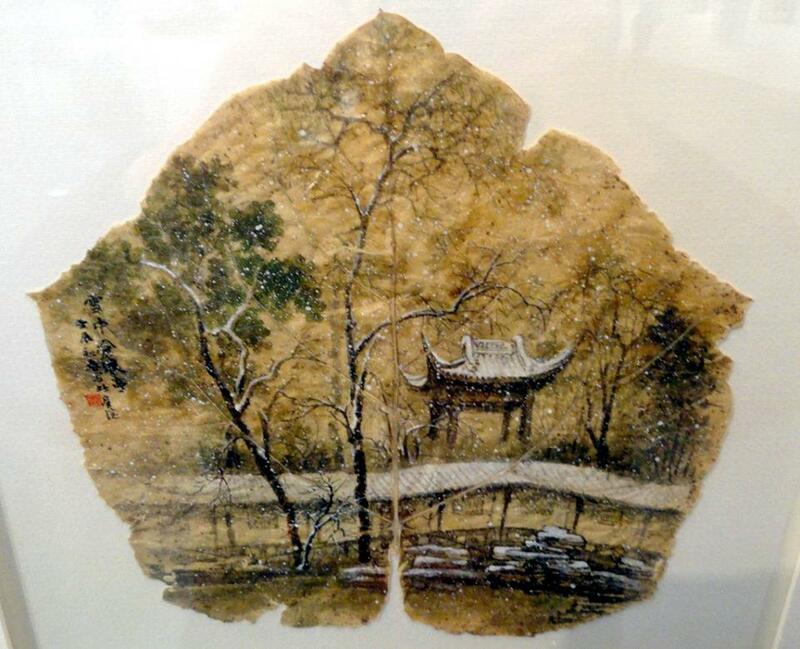 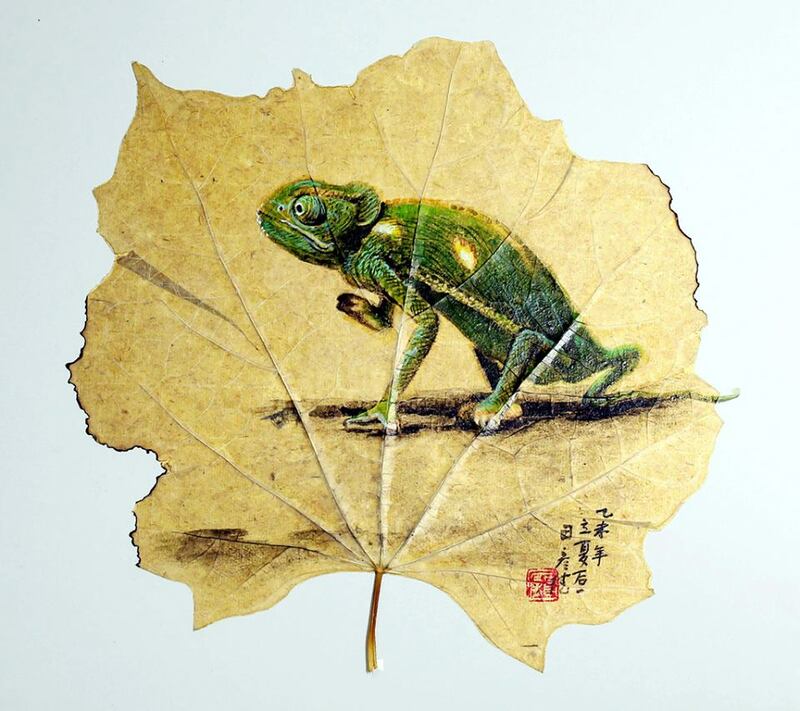 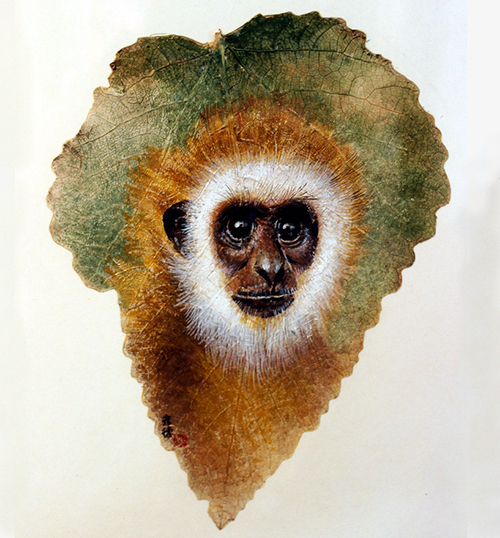 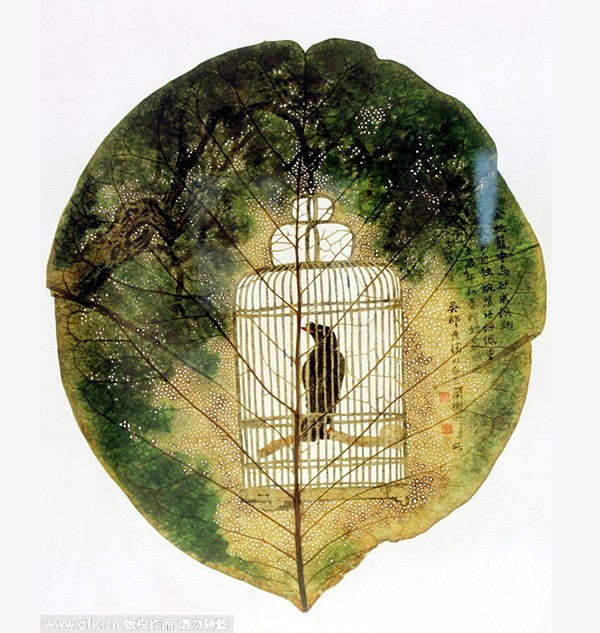 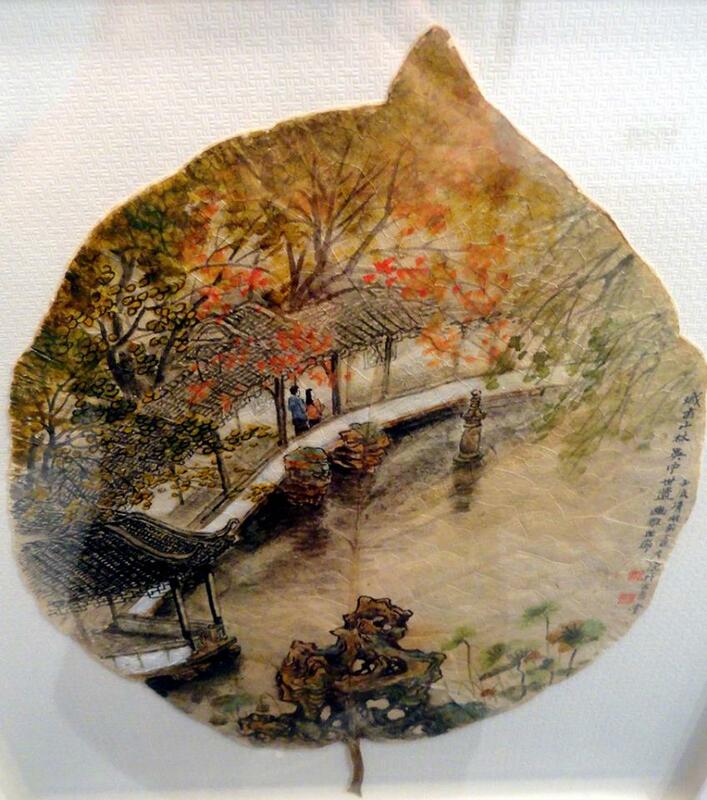 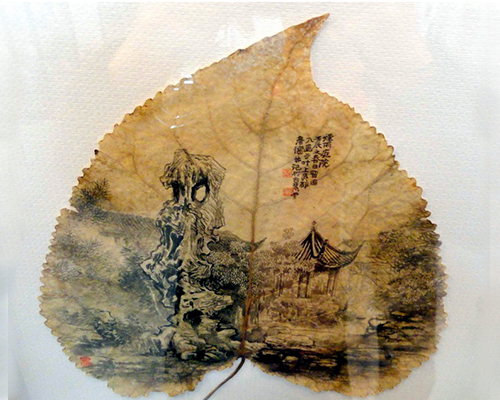 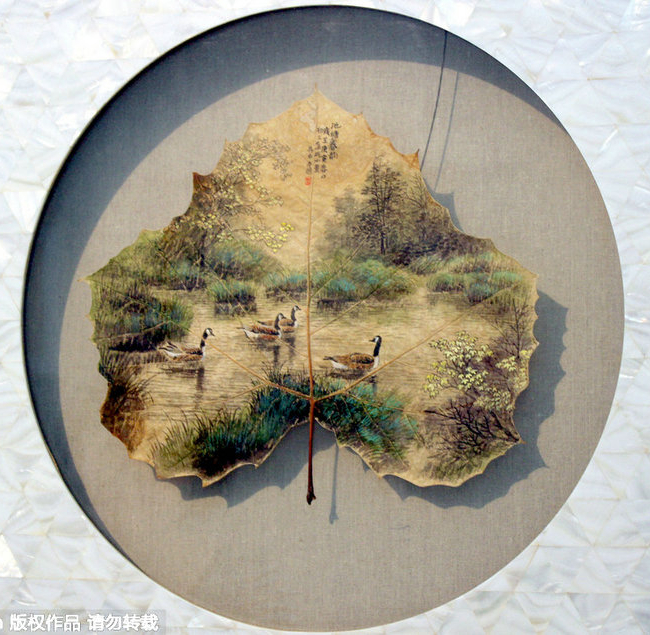 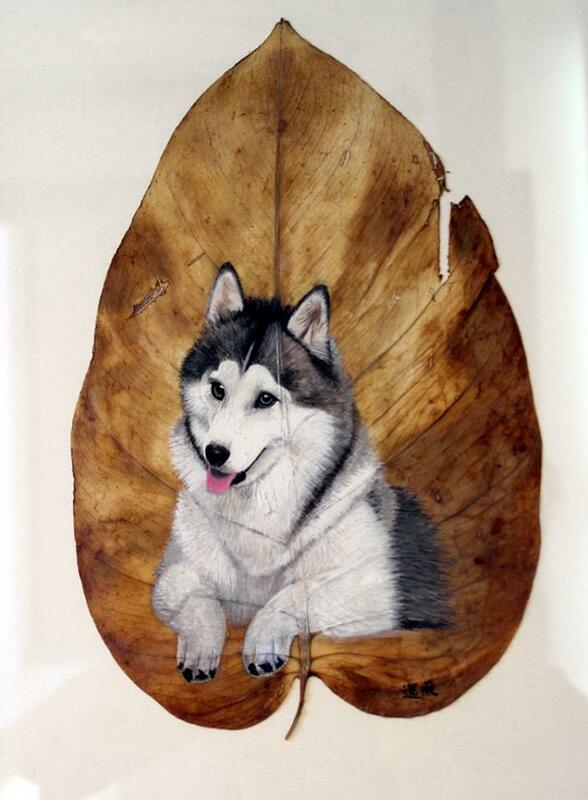 Pang Yande Folk artist from Suzhou in China, produces these fantastic paintings of animals and sceneries on leafs. 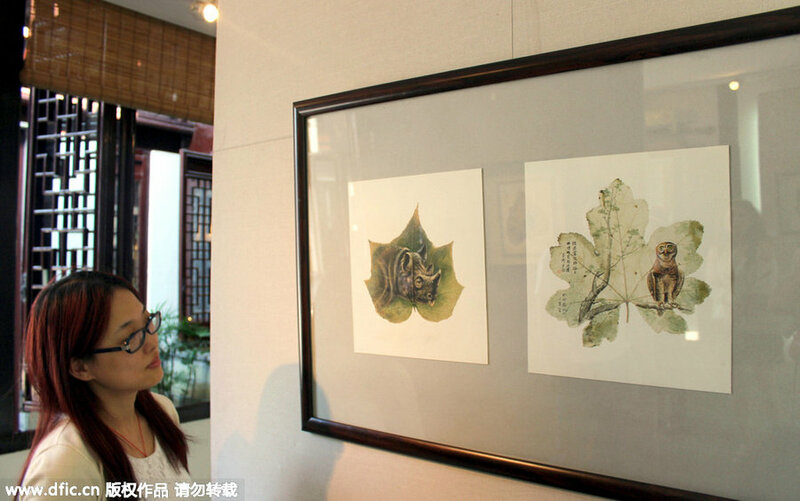 The exhibition has an environmental protection theme promoting conservation of wildlife and architectural heritage. 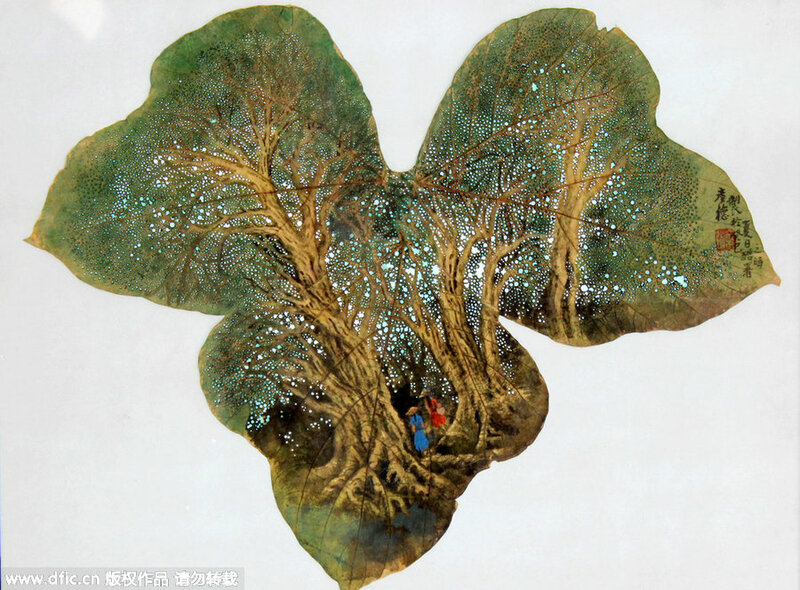 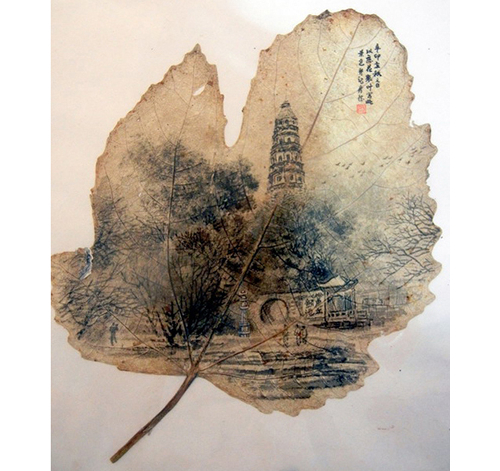 Close to a hundred of his works are going to be displayed in the Jia Ying Hui Guan Art Gallery in Suzhou, Jiangsu province, in China, from the 5th of June to the 17th August.